Cars for kids, movie-length commutes and mega-garages. What the strange new world of self-driving cars means for you and your property. There’ll be far more cars in future, not less! There’s a lot of excitement at the moment about self driving cars and how they’ll transform cities to become far more efficient. Futurists say the rapidly approaching self driving cars will bring an end to car ownership. Consumers will wake up to how much more efficient it is to just “rent from the cloud”. Parking spaces, wide roads and garages will give way to more productive urban uses and everyone will get to where they want to go faster. First, it’s not getting from A to B that you pay for. In India, you can buy a new car for $5,000. The cheapest available car in Australia is about $11,000. The fact that there isn’t even a market for cheap cars tells you something about what cars are really for. 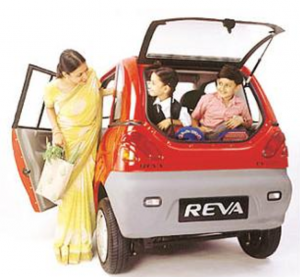 An Indian family car costs as little as $5000. How many 4 wheel drive ads talk about urban planning or even fuel efficiency? No, they feature jealous pedestrians, self-assured upper middle-class drivers free to roam and explore. 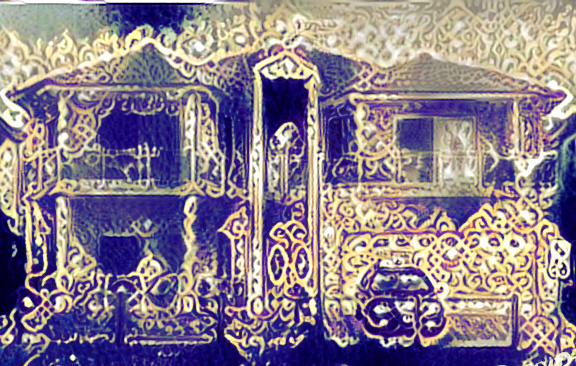 Most people don’t see your beautiful home but wherever you show up, if driverless taxis really take off, people will be ask if it’s yours, just like they ask if you own your home or rent. If you’re feeling diligent, your work day could start the moment you sit down at the (now comfortably absent) wheel. 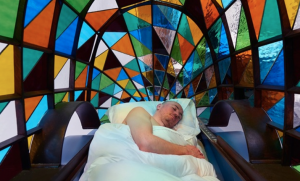 Or if you’re not a morning person, it’ll be your mobile sleep pod. It’ll be your zone, customised to you. It wouldn’t be as cozy spending 90 minutes in a taxi. The longer you spend in a car, the more status and comfort will become important. You want a home, not a hotel room. You already have the garage space. Why convert it to a rumpus room that never gets used when it could house your new prize possession? Car ownership won’t be limited to drivers anymore. Currently only drivers have cars. The young, the old, the disabled and the fearful are excluded from this and by extension they’re not full participants in the suburban dream. For millions of people, driverless cars brings the exciting prospect of owning a car for the first time. There’s far more money to be made in selling everyone their own car. Capitalism has been very good at getting people to own things they don’t rationally need. Does your street really need more than one lawn mower? You buy single-use objects like books when you could borrow them for free from the local library. Are you going to feel safe at high speeds in some taxi with hundreds of thousands of kilometres on it? 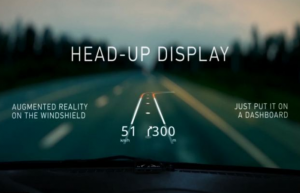 Whether or not private cars will actually be safer, advertisers will tell you so. Your child is much safer on a public bus but that doesn’t stop parents picking their kids up from school and exposing them to the biggest killer of young people: car accidents. There’s a fundamental belief now shared by all classes that privately owned cocoons are safe and the public sphere is dangerous. Perhaps it’s not that likely you’ll sit on a used drug needle in a driverless taxi, but you can bet the media will let you know when it happens. Two visions of the future, one with decidedly more consumer appeal. Advertisers will make you want several! Sometimes you need an 8 seater to transport the family, the dog and the daughter’s best friend. Sometimes your son wants to go out hooning. Sometimes you want to weave through dense traffic to work and that width really slows you down. Yet most homes only have one car per driver – a compromise vehicle that’s rarely the right vehicle for the job. Why? Driving ability! You don’t want your teenage son driving a sports car. You don’t own a bus license. You don’t think motorcycles are safe. With self driving cars, your options are limited only by your imagination. Sports cars will be marketed at 12 year old boys. Beauty spa cars will be marketed at mums. Older people will be be enticed to own classic cars that were hard to drive. Some cars will be all about sending your kid to dance class and keeping them safe and stimulated on the way. Touring will be much more pleasant in the future, so there’ll be holiday cars too, addressing a larger market than currently buy RV’s and caravans. Advertisers sell personal choice, freedom, status and comfort. Their job will actually be much easier in the era of driverless cars. There’s nothing authentic or special about being carted around in a headless public taxi. With so many more uses, and no need for a responsible driver, it all adds up to more time on the road. We already know prolific drivers own more cars. The rise of the comfort pod vehicle will make outer suburbs and satellite cities far more attractive. The further you go out from a city centre, the more supply there is. In this future, all existing residential house owners will lose and farm owners within 90 minutes of the city could massive windfalls. And this is even before you take human drivers off the road, when self driving cars have to stay slow and follow road rules to avoid accidents. Once the humans are gone, cars will sail through intersections in all directions and accelerate as fast as the passengers can bear. Just as the car lead to much lower density housing further from the city centre, the speedy self-driving car will give people even more land to share. Big land calls for big houses. And what major lifestyle change determine which room grows in size? The self driving car. So what does this mean for property owners? So self driving cars won’t be creating space-efficient suburbs. There’ll be more cars and even more parking spots: Instead of dropping your daughter off at piano lessons, you’ll be able to send her off in the self driving car. That car will stay parked there, dutifully waiting for your daughter like you have your own private driver. This is good news for property owners too. If the future did go rental, governments would start eyeing all that unused land on suburban streets – roads that no longer need parking or buffer zones. You and your neighbours will want it turned into public land to protect your area’s privacy, tranquillity and character. But developers will be very keen to get in on your sought-after street, so expect some serious urban consolidation too. This would be a nightmare for property owners, as every part of every city would be inundated with new supply. So far from creating a communal hub of common property with a public fleet of cars, self-driving cars will make people more suburban than ever – with bigger houses further from the city and more cars. Buckle up! 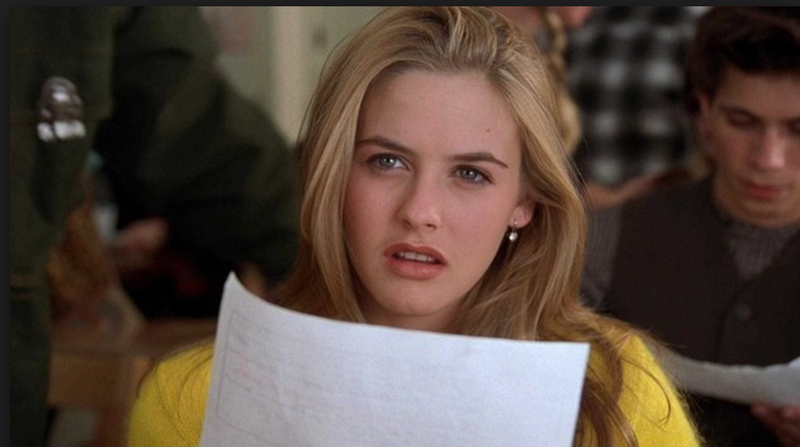 5 Real Estate Euphemisms That Need To Die, Now. As property investors we all tolerate and enjoy some tired euphemisms. ‘Renovator’s Dream’, ‘Cosy’ and ‘Full of character’ have become old jokes as we wised up to them. At the same time though, we can unwittingly swallow a lot of nonsense fed to us by marketers, commentators and other investors. Some of these clichés have got under my skin recently and it’s time to give them a blast. 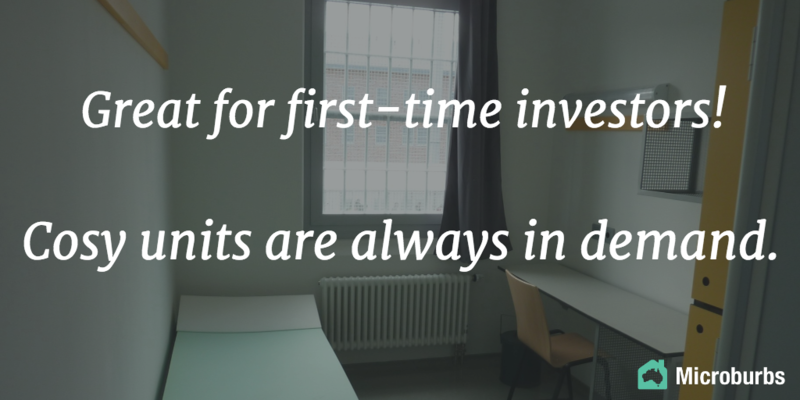 This phrase implies that the property is not so great for seasoned investors. Would the real estate agent or developer advise against experienced buyers getting involved? Not meaning to be rude sir, but you already have five properties, so this wouldn’t suit you. It would suit someone with less experience, a novice, …someone gullible perhaps. Any property which is a good deal for a first time investor is an equally good prospect for an experienced investor. This phrase just gives the inexperienced an undue confidence boost. Gees I better check. Did I mismanage this property such that it is positively geared by mistake? Dear tenant, it has come to my attention that your rent is so high that I have failed to ‘negatively gear’ this property, and I will need to reduce your rent. First of all, nobody in their right mind sets out to negatively gear a property and is then surprised to find it’s not making them a loss after all. If this happens to you, congratulations! Add this positively geared property to your portfolio and go try again to buy something that loses money. Second, the term applies to the outcome, not the strategy. You add up the income and subtract from that all the expenses and if the final number is negative, then the property is negatively geared. You don’t really make a management decision to “negatively gear it” – it comes out “negatively geared”. Should I be cautious of someone who qualifies a statement with, “To be honest with you…”? Does that mean every other statement they make without that qualification is dishonest? At least it’s nice of them to let me know when they are telling the truth? How long is “long”? How long will I have to wait for that to come true and what happens in the meantime? What does this clairvoyant real estate agent know about the property market that I don’t? This comment is a reflection of the agent’s opinion about short-term growth prospects – that they’re not great. After all, how can anyone truly know what will happen in the distant future to prices in any market? We may all be living in The Matrix and not even need properties in the future. Don’t be lured in by this phrase. It is technically correct but not helpful for investors. There are locations that for a very long time have been highly prized by owner occupiers. These are the most expensive places to live in capital cities around the country. But merely wanting to own in such locations, doesn’t affect their prices. A 14 year old boy will want a Ferrari for example, but that kind of demand doesn’t affect the price of Ferraris. The kind of demand we investors needto see is the kind of demand that actually affects prices, people bidding at auction, turning up to open homes and making offers. This kind of demand is the very reason why I created the DSR score. To cut through the euphemisms, get the facts on any property for free with a Microburbs report. For press enquiries about this article, please call Microburbs Founder Luke Metcalfe on 0414 183 210. 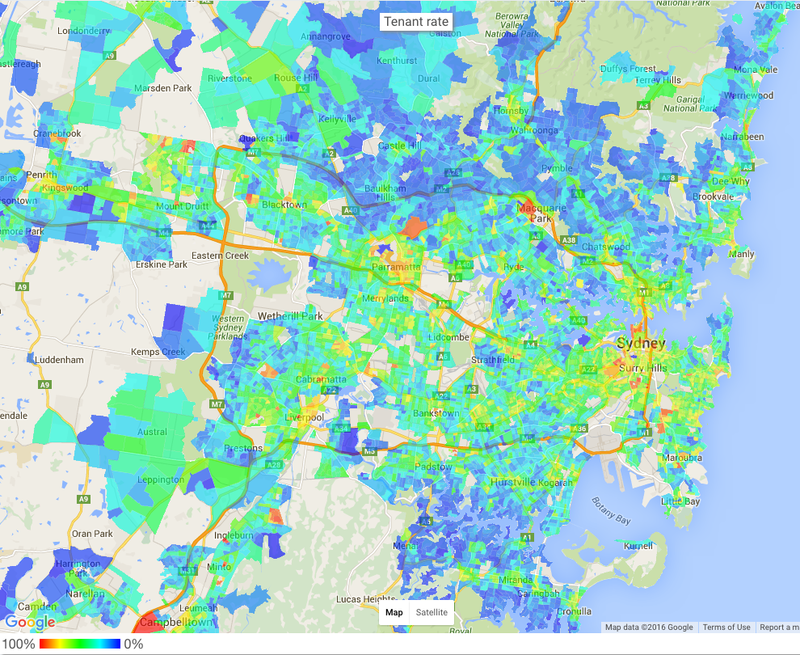 Are Tired Misconceptions Blinding You from Sydney’s Next Boom Suburbs? For most who live within 10 or 20km of the centre of Sydney, the West seems to be considered a sprawling void of fibro shacks and bogans. This ignorance might be funny to those of us enjoying the west (life is peaceful here! ), but if you’re a property investor who’s written off the western suburbs without checking your facts, you could be passing up big opportunities. I live in Kings Langley, located 45km from the Sydney CBD, and whenever I mention that I live ‘near Blacktown’, more often than not I get asked ‘Is it safe?’ Well, it is certainly is safe. The Microburbs Safety Score, based in NSW on Bureau of Crime Statistics and Research data, rates Kings Langley at 9/10, which is miles ahead of the trendy inner suburbs. With the North West Metro coming in less than 3 years, the area is set to be cracked wide open, and by the time Sydney wakes up to what’s on offer, investors will have missed the boat. Bella Vista is among some of the most well known suburbs in Sydney to those who have never stepped foot in the west. A key selling point for this suburb is not just the abundance of palatial two storey homes but also the well designed landscaping and large public parks. 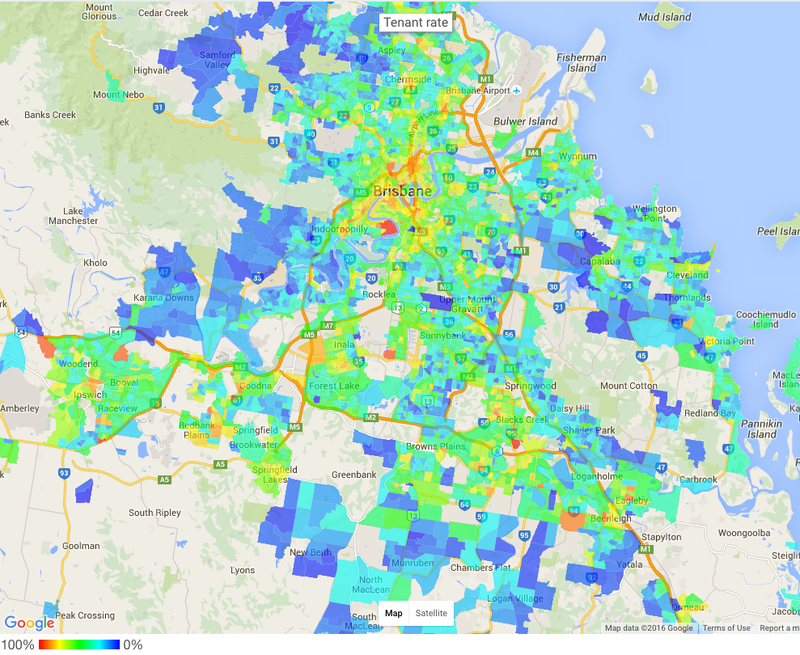 The share of land between commercial precincts and residential areas has also been well balanced. The Norwest business park is a 5 minute drive away and already hosts offices from big companies like Woolworths, PwC, Schneider and Resmed. Expected completion for the North West Metro will be in 2019 and will include stations for both Bella Vista and Norwest. For working parents, there is better supply of child care services making it far more affordable than the city. Some big landmarks include the Norwest private hospital & Hillsong church. My home burb’ is located just west of the prestigious Bella Vista and 5km north of Blacktown. The homes there were mostly built between the 60’s and 80’s so you’ll expect to see a lot of brick. The strict council covenants on development in this suburb have ensured that the streetscape has a lot of unity and appeal. Kings Langley is also a go-to destination for cyclists who want to take advantage of the purpose built cycleway along the M7. Lower mortgage rates and better family friendly facilities adds to the quality of life in suburbs like Kings Langley. The high numbers of owner-occupied homes is also indicative of this quality. The Ponds has become one of the most sought after suburbs in the west. Compared to the same period five years ago, the median house sales price for houses increased 165.5% (realestate.com.au). The Ponds is much newer than the established suburbs of Baulkham Hills and Bella Vista but with the Rouse Hill Town Centre just 10 minutes away and the higher abundance of public parks & recreation areas makes it very liveable. 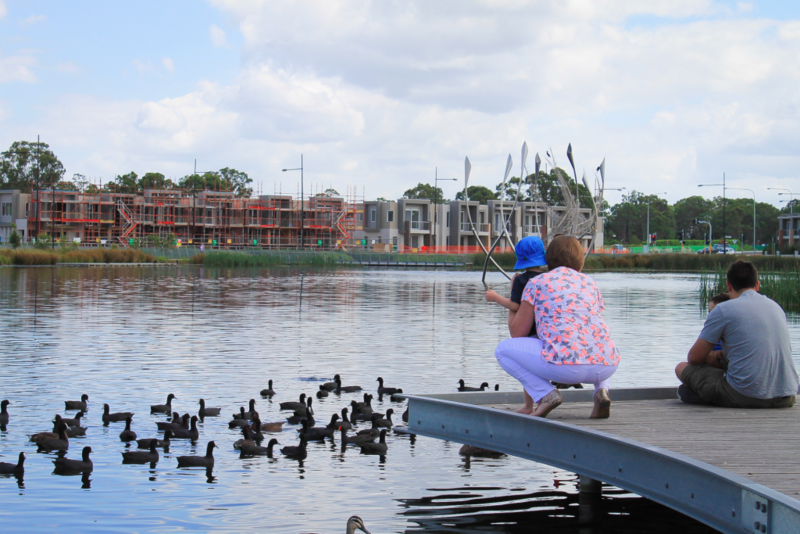 This suburb has won several town planning design awards for its innovative use of space and using the local stormwater to make an artifical pond known as ‘The Ponds Lake’. 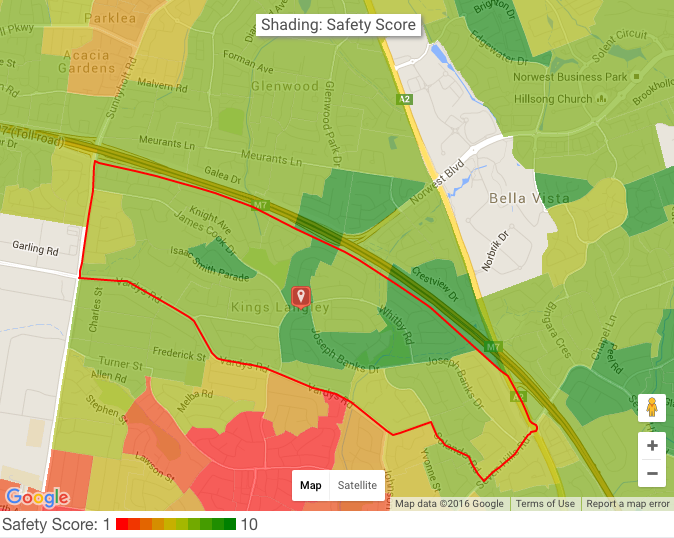 These areas make the suburb a great place of community where families often gather in evenings and host barbeques. The clever use of public space is also designed to compensate for the small backyard sizes that are increasingly common in new suburbs. Another selling point is the proximity to the council owned leisure and aquatic centre known for its popular wave pool. 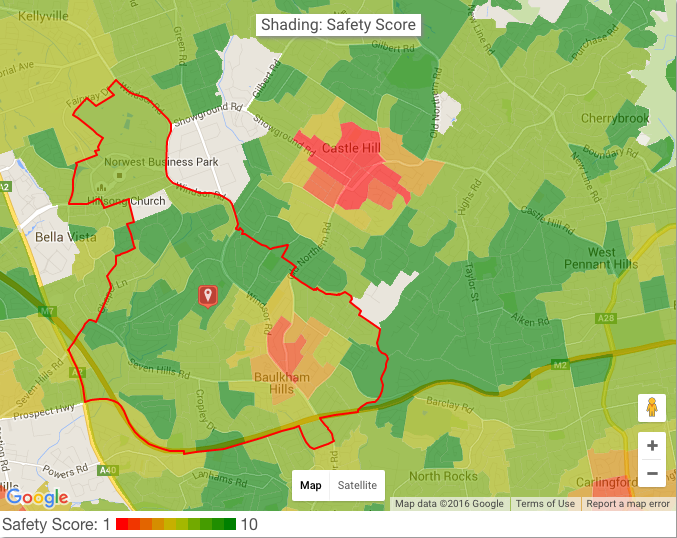 (With the exception of areas directly near the shopping centre) the high affluence level, distance from train stations and large land sizes make Baulkham Hills one of the safest suburbs in Sydney. Located just above Castle Hill, the hills shire is is known for its abundance of local parks, with a total of 329 parks in total to walk the dog or play with the kids. Whilst there is no train station, busses to the city provide an express trip to CBD via M2 and Lane Cove Tunnel with a travel time of around 30-40 minutes. Baulkham Hills high school, an academically selective school is consistently ranked among the top 10 in the state. 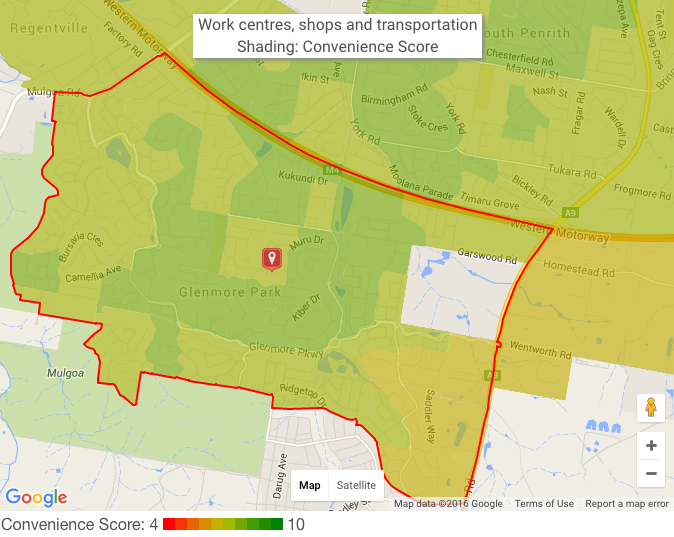 Low traffic levels and easy parking is a key benefit of western suburbs like Baulkham Hills. This makes regular travel to places like supermarkets, convenient and less stressful. A lesser known suburb sitting on the edge of Sydney is Glenmore Park, located 8km south of Penrith and right next to the blue mountains. A key advantage of the west is that lower density living means overall lower noise levels and better peace at night. Despite being located close to Penrith, Glenmore Park is often described as a very friendly suburb with neighbours you can ‘trust a spare key to your house with’. With a median house price of just $700,000 this makes it makes it the most affordable on this list. In terms of public transport, Penrith train station is just a 15 minute drive away. Combined with an express train to the city, the total journey is just over an hour to get to work; not too bad for suburb located 59 kilometers from the city. If you’re an informed investor, and I’m guessing you are if you’re on the Microburbs blog, I would encourage you to take a drive through these parts of outer western Sydney. You may be surprised by the communities and opportunities you find out here. 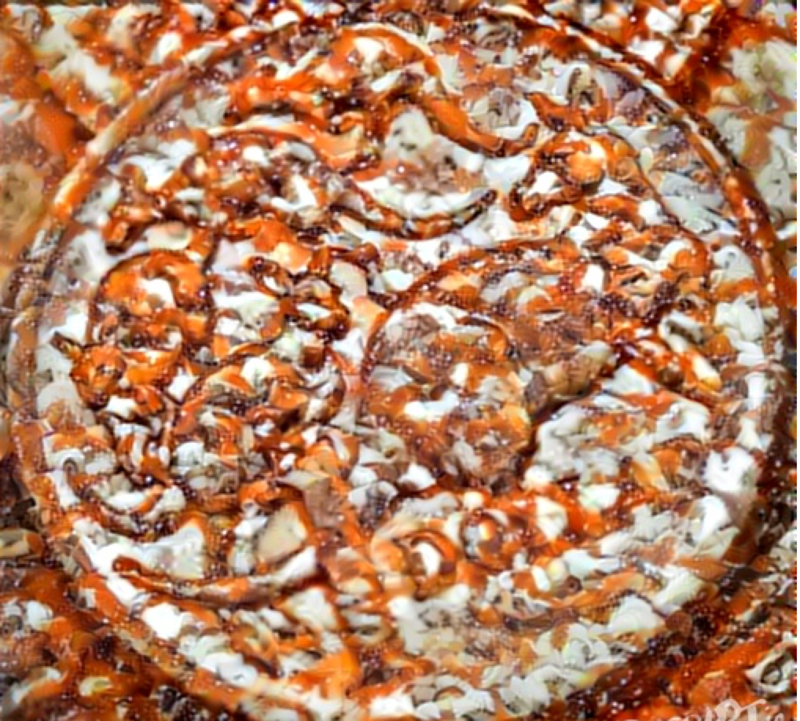 Can’t Get A Great Halal Snack Pack? Sell Your House. 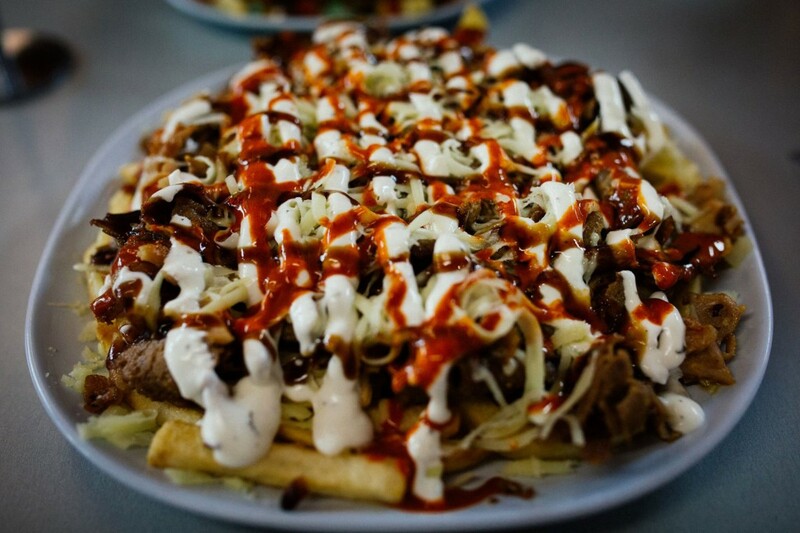 The Halal Snack Pack, for those who have somehow missed it, is a kebab store dish on the rise. From the massive online Halal Snack Pack Appreciation Society, to TV stunts between politicians, it’s not just a trending snack food but a symbol of Australian multiculturalism. It is best described as a dish containing halal-certified doner kebab meat, hot chips and the ‘holy trinity’ of sauces – chilli, garlic & barbeque. The snack sensation is even set to cross over into real estate. The most Muslim dominated suburbs have also seen property prices increase by 37% nationally, smashing the national average, and ‘buy near a great Halal Snack Pack shop’ might be the best, weirdest investment advice of 2016. We’ll focus on three Sydney suburbs that have had the best rated HSP in Australia and give a very brief overview of unique investment strategies for each one. These strategies are to give examples of the potential in these areas and are general information only. It’s important to consider your individual needs and get qualified advice before making any big decisions. King Kebabs Campbelltown is currently Sydney’s no.1 spot for HSP. Coincidentally, Campbelltown is also a sleeping giant in terms of property investment. Located on the southern edge of metropolitan Sydney, C-town has had 14.1% growth in the past year. The key selling point for investment is that some of the older houses with large land sizes have the potential for granny flats to be built on them. The key benefit of building granny flats is that you can secure rent from both the tenants of the original house and the new granny flat at the same time. In today’s low interest rate environment, this investment can pay itself off and in many cases be positively geared. What makes Campbelltown attractive is that the median house price is $580,000, nearly half the Sydney median. 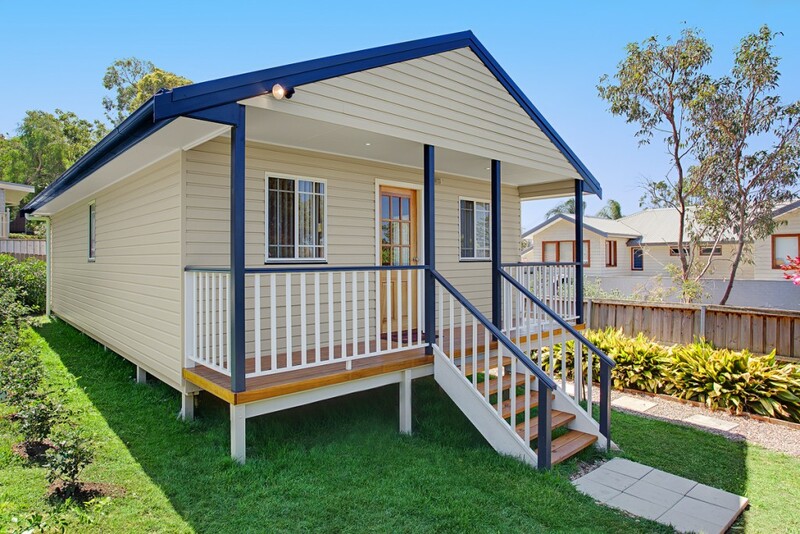 It is possible to buy relocatable/portable granny flats from $80,000 (plus council contribution) including installation costs. Watch out for super low priced relocatables which may leave out major installation costs plus other essentials. If you want to build on site, average costs range from $100,000 – $120,000 which doesn’t include council contributions that vary council to council. The maximum size for a 2 bedroom granny flat is 60sqm. Additionally, the granny flat will need to be located at least 3m from the house, 3m from the back fence and 1m from the side fences. If you’re concerned about being able to find tenants this far from the city, our data shows Campbelltown has a family score of 8/10. This is characteristic of suburbs in outer western Sydney where many families prefer the larger availability of day-care and schools (compared to the inner-west). 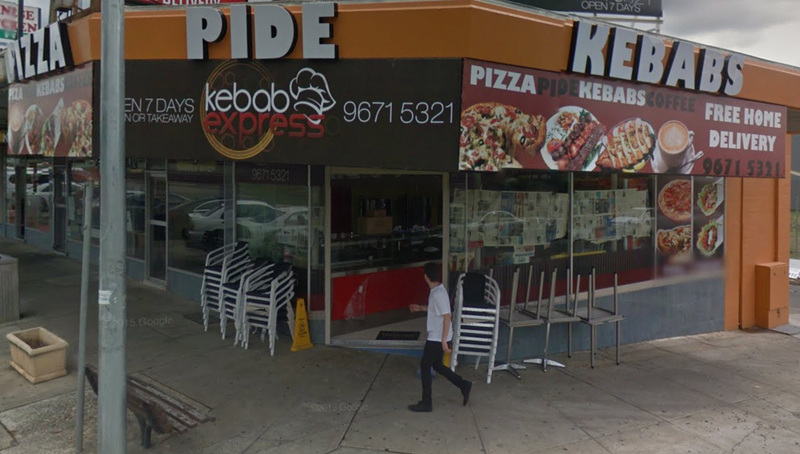 Kebab Express Blacktown is another top rated HSP location, and my personal favorite. Whilst they sadly no longer offer Shisha, it is open until midnight for all your late night banter. For investment, the southern parts of Blacktown contain many properties with large land size and small houses. These properties are often over 1000sqm. Apart from the potential for granny flats, this also opens the opportunity for building a duplex or subdiving into two lots. Once built, a duplex can then be strata titled and sold off individually for a great return. Whilst there are plenty of risks that could come into this, this strategy has been quite popular with investors across Australia in recent years. Another strategy is to subdivide the property into two lots, build a duplex at the back lot, sell the old house at the front lot and rent out the new houses. Despite the myth that Western Sydney has no culture, Blacktown has a Microburbs lifestyle score of 8/10, and our comprehensive report shows why. The Westpoint shopping centre has plenty to see and do, and there’s a great diversity of restaurants, including Ethiopian, Italian, Indian, Mexican and more. The motorway junction also makes Blacktown quick to reach by road from any side of Sydney. Located near Penrith is the well known ‘Pizza Stop Kingswood’ which consistently gets 10/10’s on the HSPAS page. With a three bedroom median house price of 590k and growth rate of 13.7%, it is a great opportunity for first time investors in one particular strategy known as rooming houses. Located between the large Nepean hospital in Penrith and the Western Sydney University campus, there will be large demand from tenants seeking affordable options. A tip for investors is to find a trustworthy handyman and build a good a good relationship with them. With all your properties, you’ll need someone who can fix things reliably and give their own advice on property management from a technical perspective. Recently I had an exciting opportunity to sit down with acclaimed property investment coach Jane Slack-Smith. You may know Jane from the Your Property Success courses or her frequent media appearances. 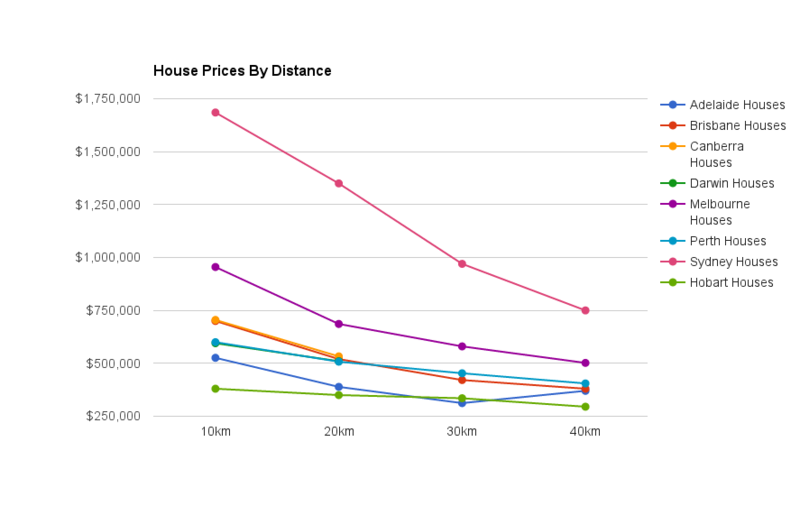 We got to talking about how Microburbs data can assist property investors, and she raised the very early step of finding areas that are in your target price range. “It may seem fine to look at monthly reported information regarding median house prices in your local capital city”, said Jane, “but cities are made up of hundreds of suburbs. In some instances you may find that the older more established suburbs with bigger blocks have less properties and less residents compared to the many new development suburbs opening up on the outskirts of town. 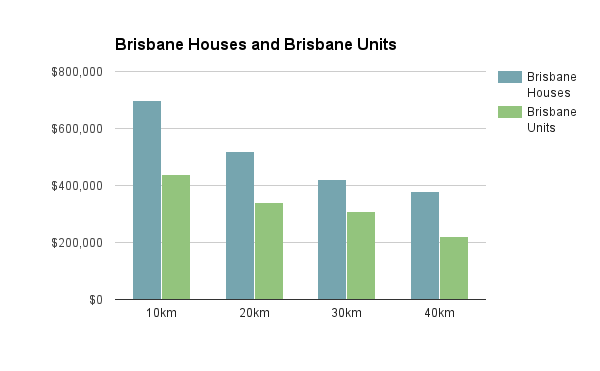 Just because the median for Brisbane seems cheap, does that mean you can get a blue chip property less than $600,000? The answer is no.” There is a ‘rule of thumb’ which can get you started, but it’s no substitute for hard data. You can imagine how excited Jane was to learn that we can make that data available. Based on reported sales for 2016, we have profiled all of Australia’s state capitals to help you find an investment property that fits your budget. 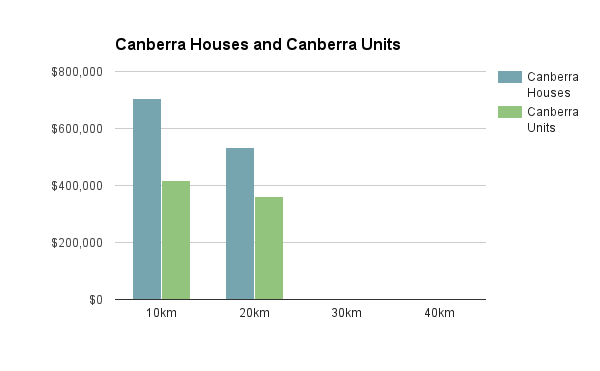 First we’ll look at house prices for all state capitals, grouped by whether they are 0-10km from the centre of the city, 10km-20km and so on. For instance, we can see that if we had a $600,000 budget, we could look at central Perth or Adelaide, 10-20km from the centre of Brisbane or Canberra, 20-30km from the heart of Melbourne and more than 40km from the middle of Sydney. 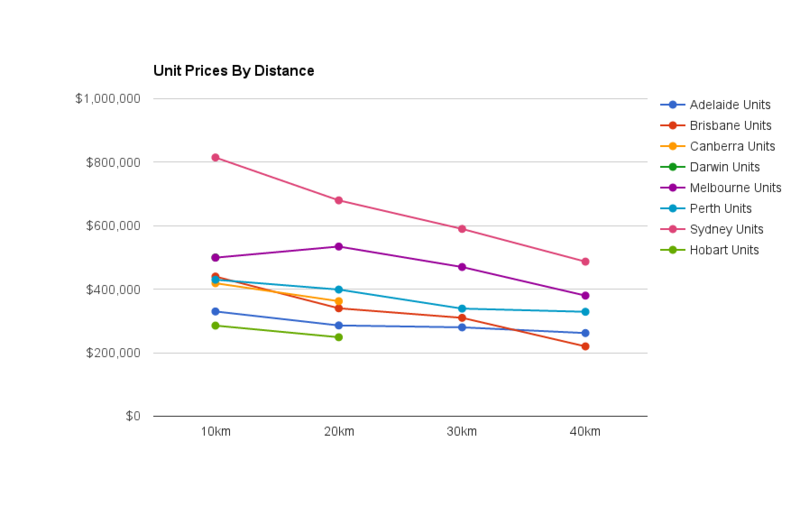 If we look at units rather than houses, the prices are lower overall and the curves are more closely matched. 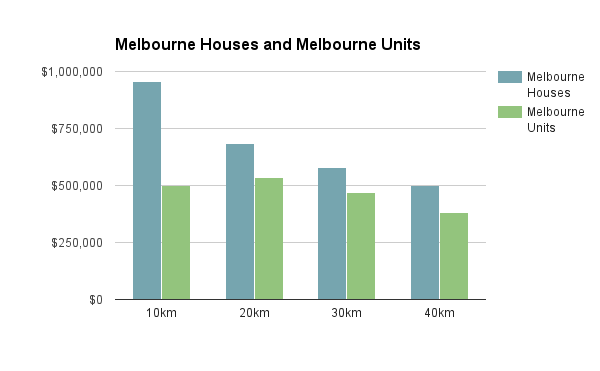 It’s interesting to see that units in the centre of Melbourne have a lower average price in the 10-20km band. 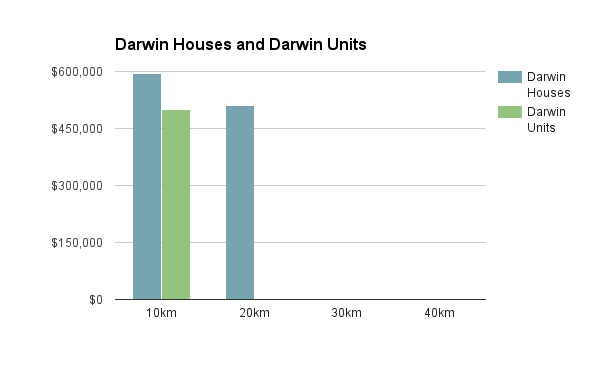 This may be because units a little further out are larger. 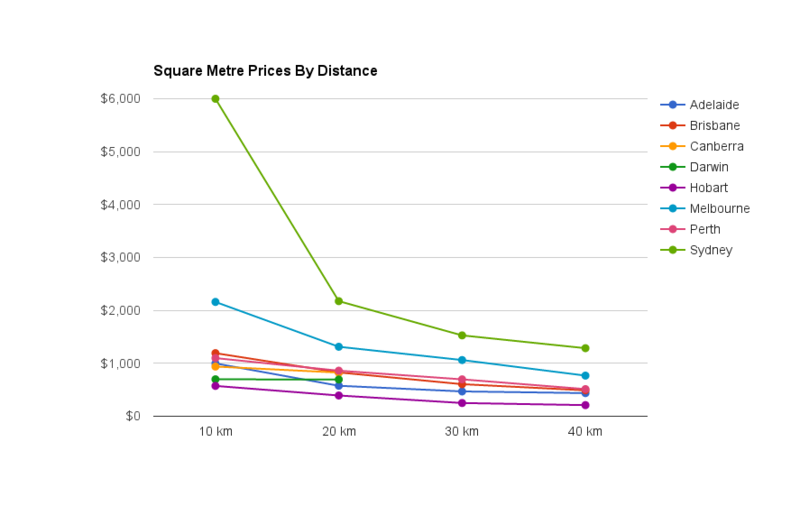 To normalise for the fact that properties tend to be bigger as we get further from the city, we’ve also done a chart of square metre pricing by distance to the city centre. This is a measure more commonly used with commercial real estate, but is basically just the purchase price divided by the size of the floor space of the property to give a price per square metre. This shows us that properties in the centre of Sydney are actually much more expensive than anywhere else in the country, in terms of the space you get for your money. We also see that distance effects on property prices are fairly uniform elsewhere, once property size is accounted for. Sydney’s peak of $6000 per square metre for residential space within 10km of the city centre is off the charts by national standards. The popularity of downtown Sydney is not just about proximity, but also the harbour and there are plenty of harbour views and even ocean vistas to be had in the 10km inner circle. Sydney’s sprawl extends even beyond the 40 km line, with residential areas 55+km from the city centre. RBA Cuts to 1.5% – Big 4 Customers Won’t Benefit, But You Can. This week has seen the Reserve Bank of Australia cut the cash rate to a historic low of 1.5%. The announcement was not a surprise to many, with low inflation data signalling a likely cut in the lead up to the RBA board meeting. What has been a surprise is the response from the big four banks. 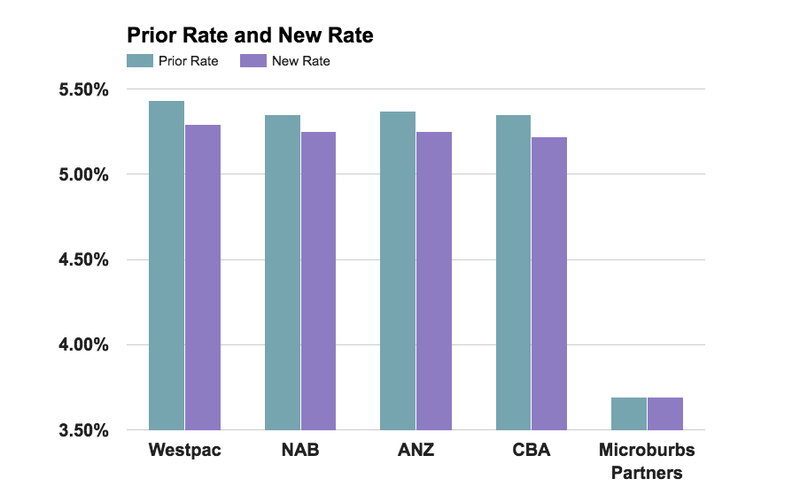 Rather than pass on the full rate cut to their mortgage customers, they reduced their standard variable rates by only half as much as the rate cut, and increased term deposit rates, rather than cutting them. More surprising still, was the swiftness and similarity of announcements by CBA and NAB, with Westpac and ANZ trailing after. Many have been left feeling frustrated and powerless after being stuck around the 5.3% mark while the cash rate approaches zero. There are alternatives though, which dozens of lenders available outside the big 4 with much fairer rates. Mortgage holders can compare personalised offers from a wide range of lenders in 2 minutes without filling in application forms and navigating red tape. You can even give it a go right now. It’s easy to brush off the idea of changing lenders for a rate cut as being not worth the hassle, but that couldn’t be further from the truth. A reduction in interest rate brings the power of compound interest over to your side. Every 1% per year on every $100K of your loan is $1000 a year into the household budget. Furthermore though, you save on the compound interest on that. A better rate can mean reaching financial freedom years earlier, building an investment portfolio while paying down your mortgage or having the money to travel again. Get some offers in 2 minutes and look at how much you could save over the life of your loan. With some analysts predicting that real estate price growth may slow down in Sydney and Melbourne, real estate investing in Australia may no longer be all hot markets and high demand. Understanding where markets are hot and cold, fast and slow, is about understanding supply and demand, yield, days on market and OSI. But what does that all even mean? Microburbs founder, Luke Metcalfe sat down with Jeremy Sheppard from DSR Data to get plain english explanations for the most important real estate investment metrics. In 2009, after building his career in IT and a portfolio of 16 properties, he launched DSR data to help make property investment more consistent and more effective for more people. Jeremy has been writing articles for Your Investment Property magazine since 2011, educating investors on how to use data to better their returns. This is the percentage difference between the original asking price and the eventual sale price. When a seller puts their property on the market, usually via real estate agent, they pick an initial asking price and it’s usually quite optimistic. Eventually the property sells – for a bit lower than that, usually – and that difference is, in percentage terms, your vendor discount. 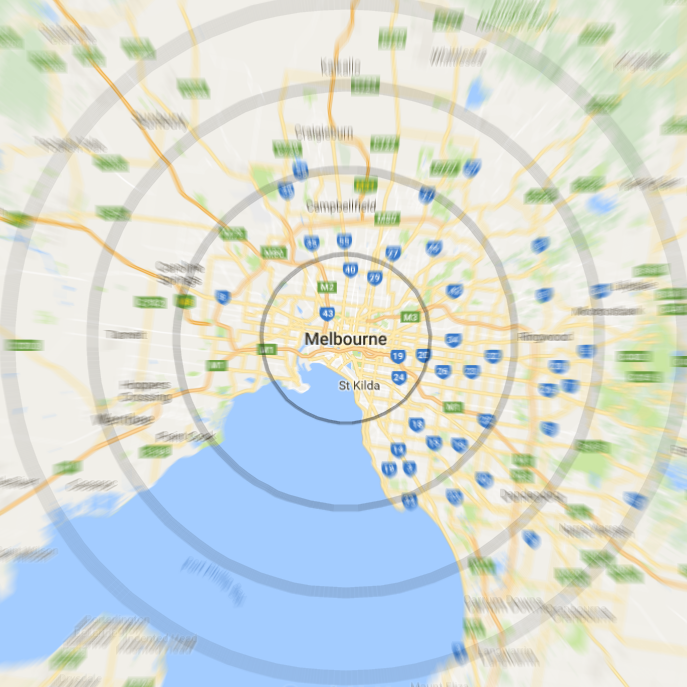 If we take the average vendor discount for all properties in a suburb, we can get a suburb vendor discount. In locations where demand exceeds supply you’ll find that the vendor discount becomes quite low. In fact, you can even find that it’s negative where people start offering more than the asking price if they’re fighting over each other to try and get their hands on the limited number of properties that are available. In markets where supply exceeds demand you might find a discount in excess of about 10%, normal markets might be around about 5% and in very tight markets it will be zero or even negative. So the vendor discount is a great indicator of markets where demand exceeds supply. This is the average count of the number of days it takes to sell a property once it is listed. A real estate agent will list a property and people will come and visit it, they’ll look around and eventually someone will make a good offer and the vendor (the seller) will accept that offer and so the listing will be taken off the real estate’s portal etc. That period of time is the days on market. The days on market generally gets very short in areas where demand exceeds supply. What happens is a whole bunch of people start competing over a small number of properties and they get desperate. 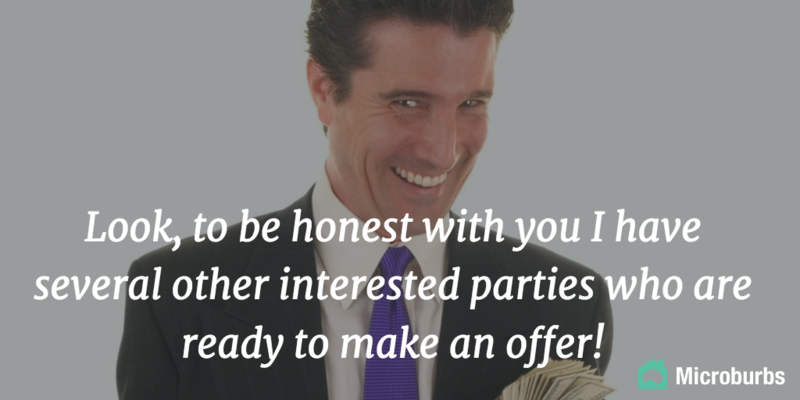 They get urgent and so they try and get their due diligence done faster and they make quicker offers. They’re waiting for the next property to come on the market and they jump on it straight away so in high demand, low supply markets the days on market generally gets very small. A typical sort of days on market might be around about 140 days, or about 3 and a bit months. Where it gets really tight is when you see days on market getting less than about 20 days. In some crazy markets where there is a massive oversupply you might see days on markets exceeding even a full year. So days on markets is a great indicator for demand exceeding supply when it’s a low figure. Is the percentage of auctioned properties that actually sell at the auction or immediately after or just prior, rather than passed in. 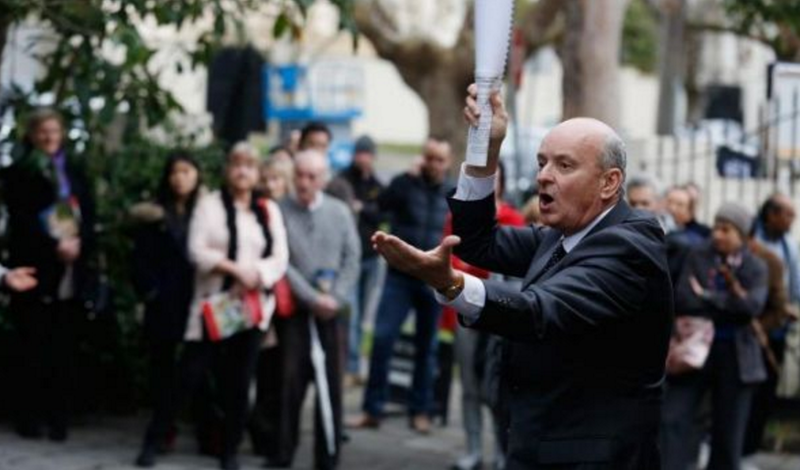 If bidding is fierce, you’ve got a large number of bidders at an auction, you will always find that the property sells. In markets where demand exceeds supply, that’s sort of typical and you will have very high auction clearance rates. In markets where supply exceeds demand you’ll find not only a poor auction clearance rate but also less auctions. That’s because real estate agents will typically only choose auctions as a means to selling a property when the market suits it, and when that suits their vendor. So you’ll find high auction clearance rates when demand exceeds supply, low auction clearance rates and low counts of auctions in markets where supply exceeds demand. So the auction clearance rate and the number of properties sold by auction are excellent indicators of demand versus supply. The proportion of renters to owner occupiers is the percentage of properties with residences that are renting but don’t actually own a property, so this can be a good indicator of supply levels for landlord-owned properties. 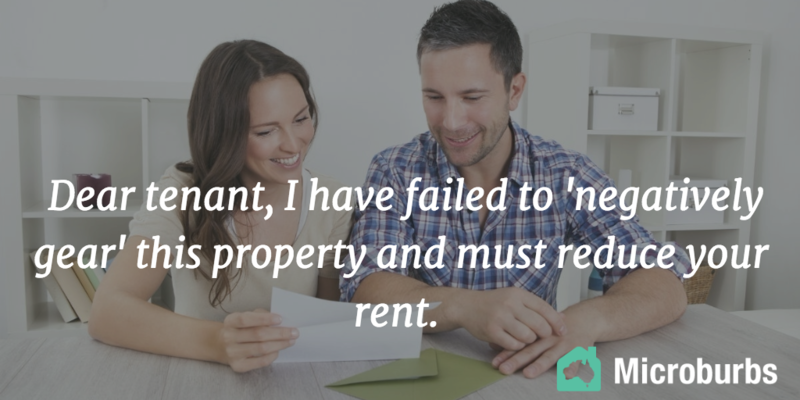 As a property investor you are also a landlord – you will own property and you’ll rent it out to a tenant. If you’re competing with other landlords then you may experience extended vacancies. You don’t want to have to compete, so you want to be ideally the only landlord in a local property market. That means you’re looking for markets where there’s a lower percentage of renters and you want most of them to be owner occupiers. Renters typically take less care of their properties than owner occupiers, so you may find the properties devalue a little bit more quickly in markets where there’s a heavy percentage of renters. Overall you ideally want a market with the lowest possible proportion of renters to owner occupiers. 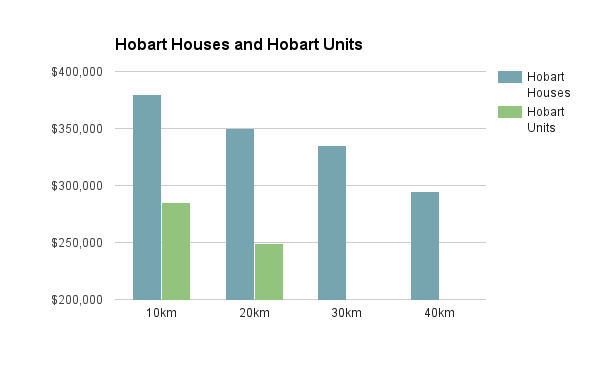 This is the percentage of properties that are available to rent in a suburb that are currently vacant, so if you’ve got about 1000 properties in a suburb, and lets say 300 of them are owned by property investors, rented out to tenants, and then if you have 30 of those that are currently vacant than you have a 10% vacancy rate, which is a whoppingly high vacancy rate. Vacancy rates are typically around about 2% – 3%. Anything less than about 2% is a helpful margin because as an investor obviously you don’t want to have a property that is vacant for a long period of time. So you’re looking for markets where there’s a vacancy rate as close to zero as possible. If it needs to be checked, a rough figure for vacancy rates, not in percentage terms, can be found by checking the rental pages of suburbs around Australia. See how many rental properties are currently listed, you may see some of them with a statement – available with some future date – so those aren’t currently vacant but they will become vacant and available at that future date. Vacancy rate, then, is a great indicator that property investors can use to make sure that they are going to have good rental income. A very low vacancy rate over an extended period of time will usually start to push yields up. Property managers will keep their eye on the market and they will inform their clients, the landlord, that this market could probably cope with an increase in rent, so low vacancy rates are usually a precursor to increasing rents and yields. The gross rental yield is the rent achievable in a year, divided by the value of the property as a percentage. Usually, if you’re getting a property for $400 a week in rent and it costs $400,000 in value than that’s typically about a 5% rental yield, in order for a property to be cashflow positive, with long term interest rates of around about 7%, you will need a yield close to about 9% for that to be a positively geared property. The Net Yield is the profit achievable in a year divided by the value of the property. That is, the rent, minus all expenses like rates, strata, financing etc. Yield is of course is of great importance to investors because it’s all about cash flow, if you have strong cash flow, you can stay in the game and there’s less risk of you having to sell your property. For those who want to retire on a portfolio of positively geared properties, yield is very important, of course capital growth is the ants pants of investing but yield is what keeps you in the game, so looking for markets with a higher than average yield is usually a good choice for investors. You don’t want to go crazy with it, buying in mining towns or other regional towns that hinge on one industry because they could evaporate overnight. The yield, in general, you want to healthy. You don’t want to be buying in markets with a ridiculously low yield like 2.5% – 3%. The average nowadays is about 4% – 4.5% so anything about 5% or up is a healthy sign. Is the number of properties that are currently listed for sale, as a percentage of the total number of properties in a market.This is a great indicator of supply in a market. You want low supply, high demand and the percentage stock is your supply indicator. You want this figure to be as low as possible, ideally 0%. That would mean that there are no properties currently available for sale, which of course makes it hard to enter the market. The stock on market percentage typically is around about 1%. Ideally you want that, of course, to be lower. Some markets that are quite dangerous will have stock on market percentage of even 5% which is like 1 in 20 properties currently for sale. Stock on market percentage can be a little bit volatile from or time to time, so you need to look at a historical chart and just make sure that the long term average, at least over the last few months, is relatively stable. Stock on market is used in the Jeremy’s Demand Supply Ratio to measure supply. For a growth area, you want a high demand matched with the supply, just having low supply isn’t the only side of the equation, you also need high demand as well. This is a figure where the number of people searching for property online is compared with the number of properties available online. 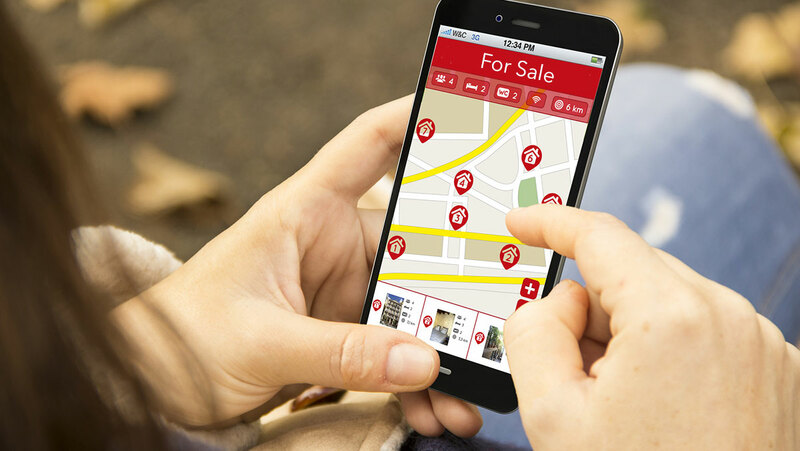 You want the most number of people searching for property (that represents demand) and the least number of property available for sale, which represents the supply. The online search interest or OSI for short is a mini demand versus supply ratio, it’s only one statistic and it can suffer from some anomalies but overall it’s not a bad indicator and when combined with other statistics it can be quite useful for investors targeting locations with high demand versus supply. Have you found some of these useful when you invested? If you’re ready to find your investment property go to microburbs.com.au to find the next neighourhood ready to boom! Our analysis reveals how canny new migrants are benefiting from Australia’s property boom, and why Westerners are falling behind. It’s a sensitive subject, but not all ethnic groups are profiting equally in Australia’s property boom. In fact, nothing could be further from the truth. Our findings tell a different story to the stereotype of the Anglo Australian baby-boomer couple as the key beneficiary of the property growth. I’ve often asked people “what do you think is the strongest demographic factor that influences growth”? Chinese, and other migrants, often laugh and say something like “Do you really want me to say? It’s not politically correct”. At Microburbs, we use data science, machine learning and big data analytics to explain Australia’s real estate market. As such we’re very interested in growth factors, and leading growth indicators. The clear growth indicator nobody is talking about is ethnic and migrant communities. Areas where some migrant groups concentrate have greatly outperformed the average. Our research has found that Microburbs with the highest proportions of indigenous and Northern European people did not grow much in the past 5 years, while southern European and Asian dominated areas mostly did incredibly well. How did we find this? We started with Microburbs – small areas of a few blocks, with around 400 people. We then picked the 500 Microburbs that were the most concentrated for each ancestry using data from the 2011 census from the Australian Bureau of Statistics. Next we looked at the price of property in those top 500 Microburbs for that ethnicity and compared the 2012 median property price to the 2016 median property price to get a growth rate. 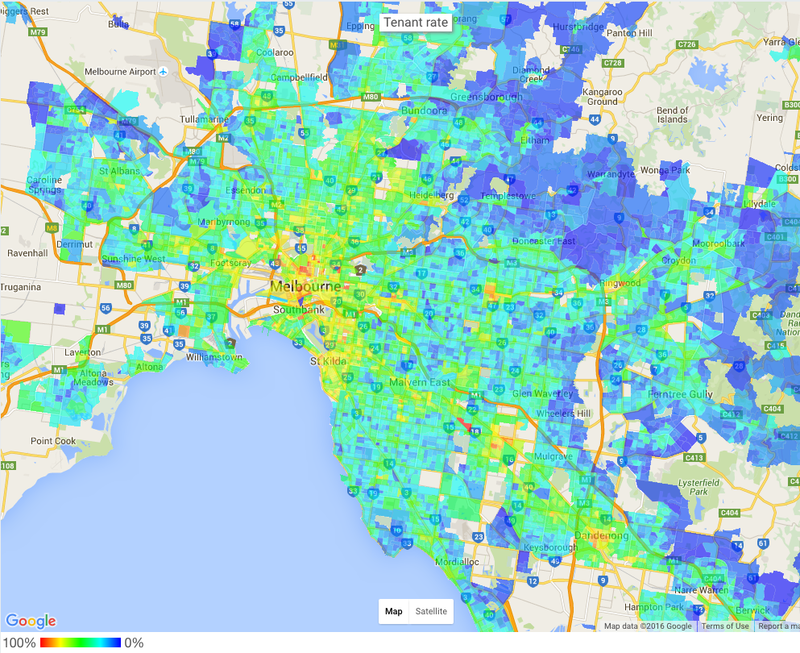 So, is it the Chinese who are most prevalent in the high growth areas? Well, there is certainly a correlation between Chinese areas and high growth, but the ethnic group which is associated with the best performing areas is actually the Lebanese. Now you might be thinking that this is clear evidence that some ethnic groups are sharper investors than others. It’s not that simple though. We have a connection, sure, but there’s more to the story. Firstly, areas where people report their ethnicity as “Australian” or from the British Isles tend to settle in rural and regional areas, which don’t show strong growth. Take the Scottish community in Lorne, Victoria, which has seen median property prices fall 12% in the last 4 years in their town. This is similar for people of Northern European ancestry. They seem to prefer living in places where there is more space, and as such more land. Australia’s most German areas include Murray Bridge in regional SA and Boonah in regional QLD, for instance. Asian migrants, on the other hand, tend to move into big cities and high density areas – close to shops and work. These areas tend to be short on land already, and increased popularity with an ethnic community increases demand, which drives price growth. They also tend to drive NAPLAN scores up. 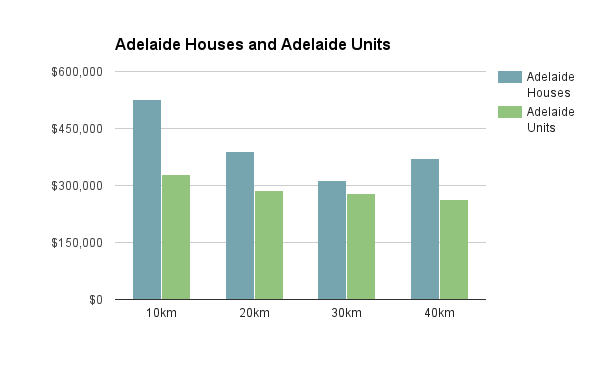 Heading out of the cities, the link between indigenous communities and decreased median prices is explained by these communities typically being in very remote regional areas. 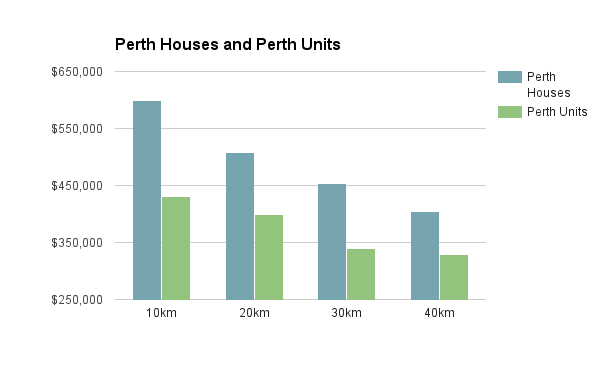 Our country towns have certainly not shared equally in the recent property price growth. It’s also worth noting that we’re comparing where these communities were living in 2011 with the increased cost of buying property. There’s every chance that these properties are being rented by the occupants and the beneficial owners could be from a totally different demographic. We can clearly see that different ethnic communities come to Australia seeking different lifestyles, which leads them to settle in different areas. A quick and clever way to demonstrate these cultural differences is with a few Google Image searches. By translating ‘Australia’ into several languages and running a google image search, you’ll see very different Australias for different languages. So if Northern Europeans aspire to nature and wide open spaces, they can have it, and cheaply. But they shouldn’t be surprised not to do see any capital growth, because the very thing that attracts them to it – the expansive land – means also that there’s endless supply thereof. So we can see the Western love of nature improving their housing affordability but also depriving them of capital growth. On the flip side, successive waves of immigrants who aspire to our big cities will continue to benefit from the fact that demand outweighs supply in those areas, assuming they can get a foot on the property ladder. To identify migrant communities and explore the ethnic make up of your potential investment areas, search for the suburb or address below and head to the Ethnicity section of any Microburbs report. Property is still the path to wealth in Australia, and our over 65’s have not forgotten it. This week, the HILDA (Household, Income and Labour Dynamics in Australia) Survey results were released. These are essential updates for Australian property investors available here. Until you have a chance to peruse the full 124 page report, we’ve collected our key take-away points for property investors. Home ownership rates have been falling steadily since 2002, when the survey began. The latest results show only 53% of Australians are home owners, with home owners expected to become a minority in 2017. The fall in home ownership is not evenly distributed. 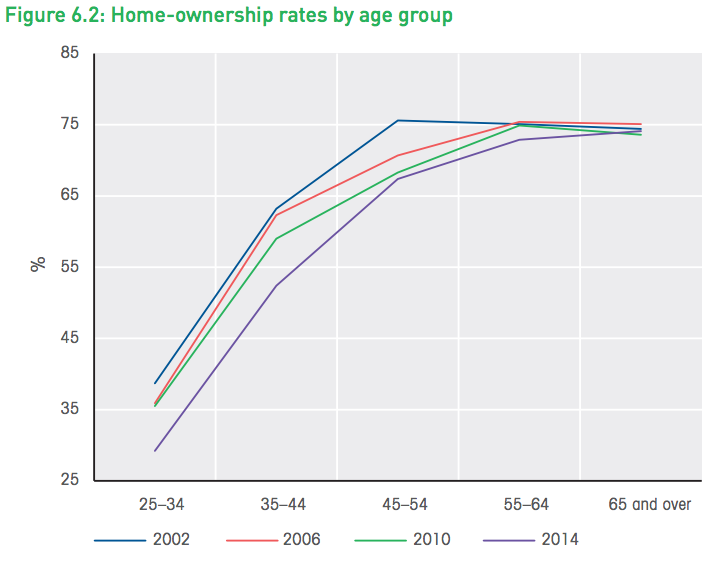 It’s young people who are increasingly unlikely to own a home, with ownership rates amongst 25-34’s falling from 40 percent to 30 percent. On a household level, households headed by a 25-34 year old have gone from 60 percent home ownership rate to 47 percent. Where are these homes going? 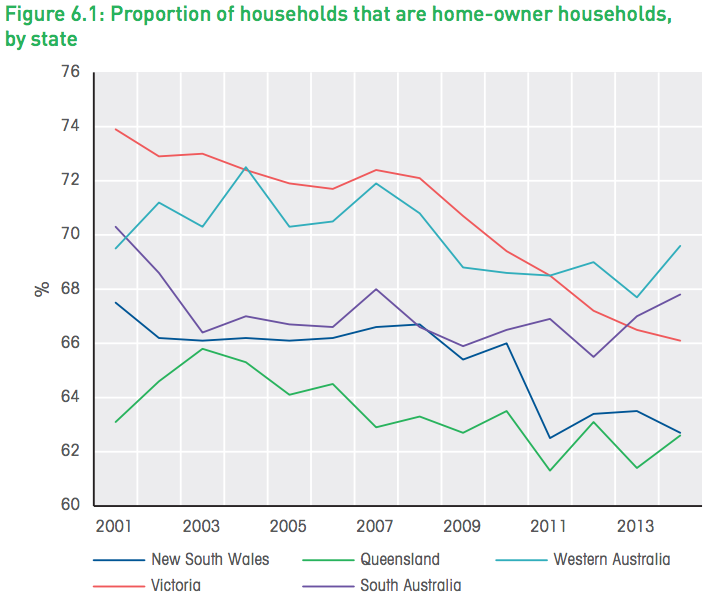 Older Australians show a matching increase in investment property purchases. In 2006, 8 percent of investment property landlords were over65, and in 2014 it was 13 percent. It’s easy to see that those with equity in the property market are beating out newcomers, and that those who have tasted strong capital gains are keen to build their portfolios. Median wealth increases between 2002 and 2014 have not been equal among age groups. Those aged over 65 have enjoyed a whopping 61 percent increase in median wealth between 2002 and 2014, while 25 to 34 year olds have had just a 3 percent increase, despite being of working age. 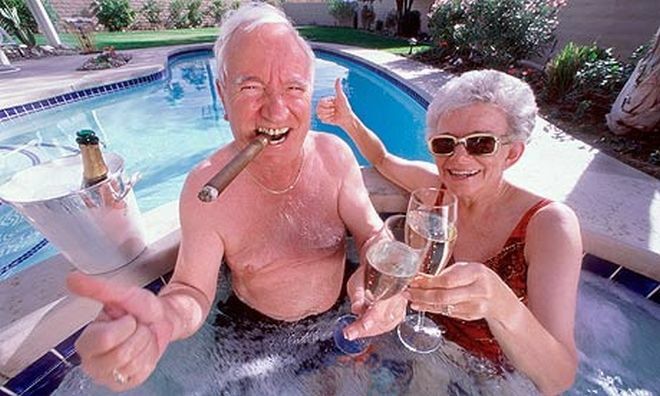 It’s no coincidence that over 65’s in Australia own more of the property and have enjoyed more wealth increases. Tax incentives and a strong property market have proved that it’s property that makes money, and the more property you can own, the more money you can make. At Microburbs, we know that owner-occupiers and renters don’t usually live in all the same places. 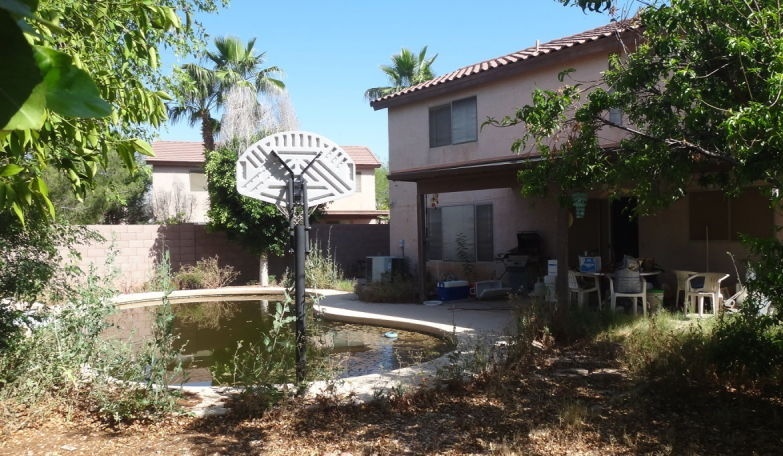 There are distinct investment property areas and home owner areas. Typically it’s units and compact, low maintenance housing around transit hubs which make good investment properties, and large houses with matching yards out in the suburban fringes which are better suited to owner-occupiers. 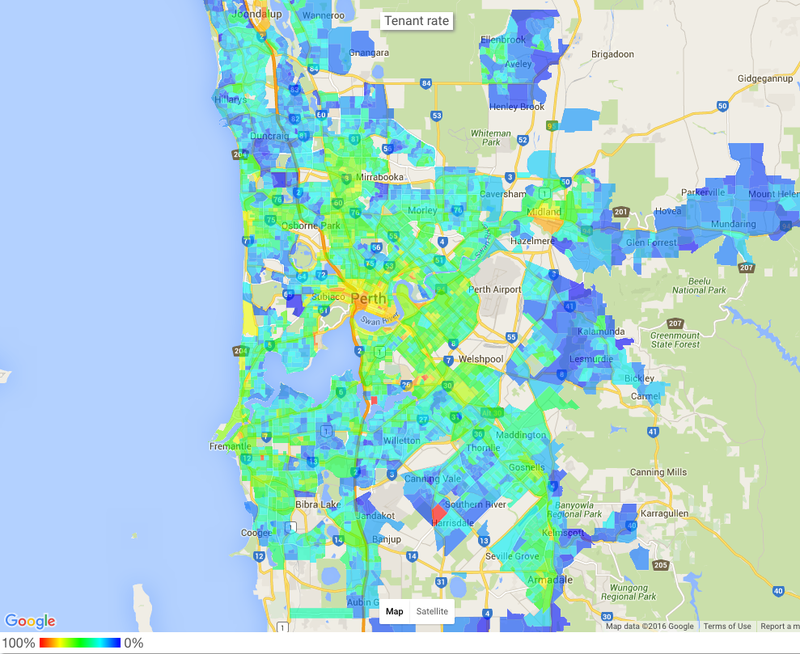 We map tenancy rates at a Microburb level under our Affluence Report section. This way, you can see within a suburb where you’re considering investment, where the rental properties tend to be. You can get the tenancy rate and Affluence Report for any address in Australia by searching here. 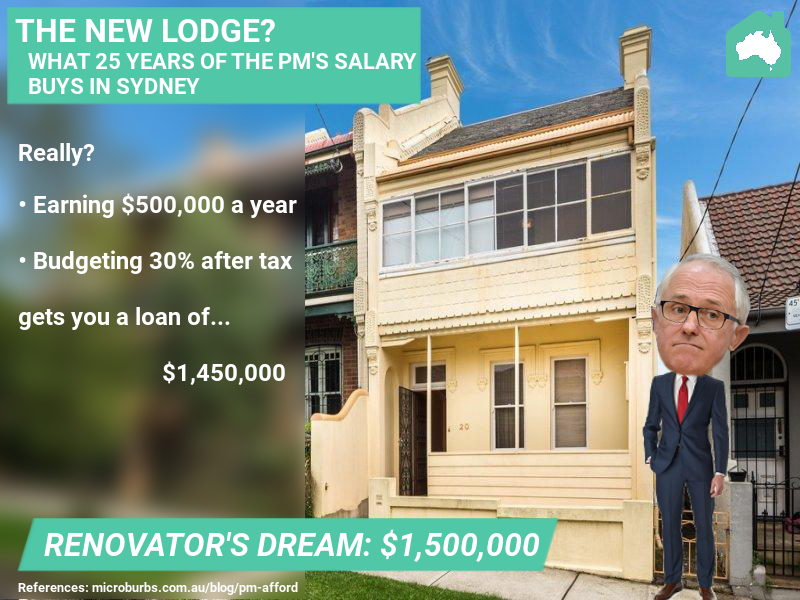 What can the PM afford to buy in Sydney? Joe Hockey famously advised first home buyers to “get a good job that pays good money”. How about the top job? The Prime Minister of the Commonwealth of Australia earns no less than $507,000 a year. That’s got to give us some serious buying power, right? How much could you really afford in the PM’s home town of Sydney? First things first, we need to pay tax. Assuming we haven’t got a handful of negatively geared properties already, our tax bill is $202,000. That leaves us $301,000 though, which is still more money than most first home buyers can dream of. To avoid mortgage stress, your mortgage repayments should be less than 30% of your income, or about $92000. Of course we’ll be getting our loan at the great Microburbs rate of 3.89%. According to the government’s own MoneySmart calculator, annual repayments of $92,000, at 3.89% gives you borrowing power of… $1,450,000. Wait a minute. That’s not very much really. The median house price in Sydney is around $1,000,000. 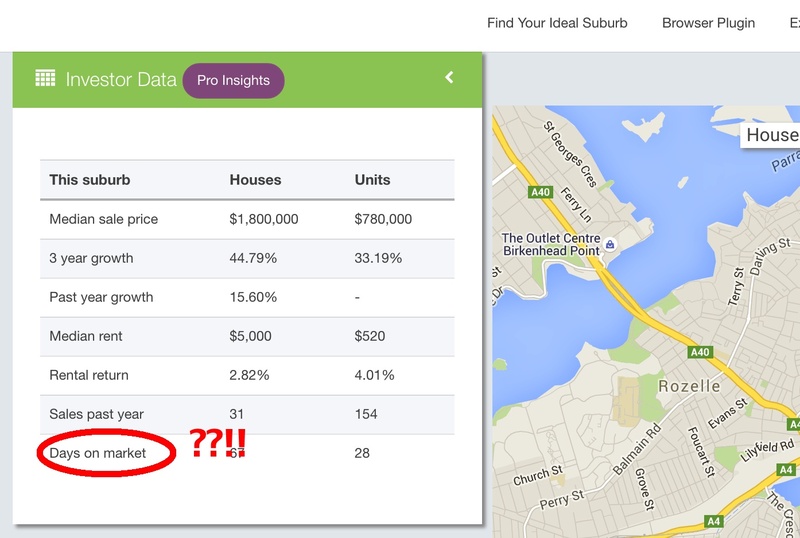 The median prices in 172 Sydney suburbs is over our budget! Naturally anything in Sydney with a view of the Harbour, close to beaches or close to the CBD is off the table. Likewise, the inner west, north shore and more affluent parts of suburbia are way out of your reach. North western suburbs like Cheltenham, Beecroft and Pennant Hills may be out, but if you’re prepared to go a little further, Castle Hill is a mere 26 km to the city and is still in your budget until the metro opens there in 2019. Houses in Strathfield are out, but neighbouring Burwood would be ok. Dulwich Hill has become too popular for the likes of the PM, but Hurlstone Park or Ashbury, beyond the reach of the light rail, are still options. That’s not to say there aren’t some houses below the median price in inner areas. This inner west terrace house is almost within our budget, with an auction guide price of $1,500,000. Could this fixer-upper be our answer to the Whitehouse or Number 10? Over to the Microburbs Property Report to find out! This inner west terrace has a hip score of 8 and an affluence score of 10. Unfortunately it only scores a 4 for safety, so we may need to put on a few more protective services officers. Of course there’s still the deposit. You’ll need about 3 years of PM’s pay to get that together. Unfortunately, nobody has been able to last in that job that long in nearly a decade. If you find your mortgage a pain too, you can at least get a better interest rate. Get access to our exclusive lenders and reduce your rate to as low as 3.89% now!